Sign up for the three courses and you will get three of the most famous Dale Carnegie books! Duration:4 face-to-face training days and 5 online sessions 1 hour and 30 minutes each. Dates:27 September, 9 and 23 October, 6 and 20 November – online sessions, 2, 16, 30 October and 13 November - face-to face training days. Look around you at successful business people, world leaders, professional athletes and entertainers. You’ll find a disproportionately high number of Dale Carnegie Course® graduates. This course will help you master the skills needed in today's demanding business environment. You will learn to strengthen interpersonal relationships, control stress and manage rapidly changing working conditions. You will be better prepared to act as a convincing communicator and as a focused leader, and to solve problems. If you register until September 17th you will get 120 lv. discount. Duration:2 face-to-face training days and 2 online sessions 1 hour and 30 minutes each. Dates:1 and 15 October – online sessions, 4 and 5 October - face-to-face training days. Dates:5 and 19 November – online sessions, 8 and 9 November - face-to-face training days. A presentation is a critical business tool. Whether your communication goal is to persuade, sell or inspire, your presentation is what will differentiate you from your competitors. When properly executed, your presentation will make you stand out and your audience will view you as prepared, informed and confident. We illustrate proven methods and techniques that allow you to develop compelling presentations with universal appeal, yielding consistent, positive results. You will explore the optimum use of voice and gesture to create a lasting impression as well as a variety of presentation styles. Participants are given the opportunity to practice five presentations minimum, which will be videotaped, evaluated and mentored by an expert until you have achieved the ultimate goal, the ability to deliver a masterful presentation. If you register until September 17th you will get 80 lv. discount. Duration: 4 face-to-face training days and 5 online sessions 1 hour and 30 minutes each. Dates:17, 31 October, 14, 28 November, 12 December – online sessions, 24 October, 7 and 21 November, 5 December - face-to-face training days. If you register until September 17th you will get 130 lv. discount. In 2011 AIMS Human Capital became the official representative of Dale Carnegie Training in Bulgaria. With the launch of the company on the Bulgarian market, AIMS is concentrating its entire training solutions and people development activities into Dale Carnegie Training’s methodology. 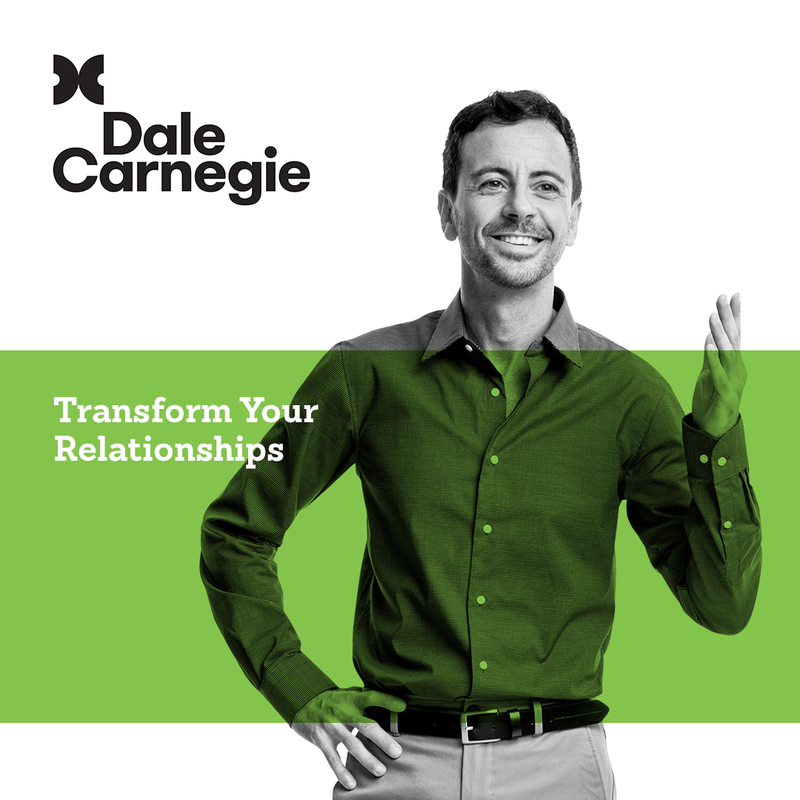 Founded in 1912, Dale Carnegie Training has evolved from one man's belief in the power of self-improvement to a performance-based training company with offices worldwide. We focus on giving people in business the opportunity to sharpen their skills and improve their performance in order to build positive, steady, and profitable results. Dale Carnegie's original body of knowledge has been constantly updated, expanded and refined through nearly a century's worth of real-life business experiences. The 160 Carnegie Managing Directors around the world use their training and consulting services with companies of all sizes in all business segments to increase knowledge and performance. The result of this collective, global experience is an expanding reservoir of business acumen that our clients rely on to drive business results. Headquartered in New York, Dale Carnegie Training is represented in all 50 of the United States and over 85 countries. More than 2700 instructors present Dale Carnegie Training programs in more than 35 languages. Dale Carnegie Training is dedicated to serving the business community worldwide. In fact, approximately 8 million people have completed Dale Carnegie Training.